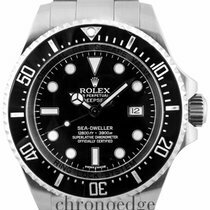 Pre-owned Rolex Yacht-Master Steel and Platinum 16622(Rolex serviced 2018). 40mm stainless steel case. Bi-directional Platinum bezel. Silver dial with luminous hands and index hour markers. Minute markers around the outer rim. Date display at the 3 o'clock position. Automatic movement. Scratch resistant sapphire crystal glass. Screw down crown. Stainless steel oyster bracelet with deployment clasp. Water resistant at 100 meters / 330 feet. U.K Aftersales service Box and Rolex Warranty Papers dated June 2006. This watch has recently been back to Rolex’s U.K service centre where it underwent a full service to its movement as well as a full refurbishment to both case/ bracelet plus a replacement glass and crown. The watch is complete with its service invoice(£741) and 2 year service warranty dated October 2018. The pictures you see are pictures of the actual watch!! We sell only what we have IN STOCK!